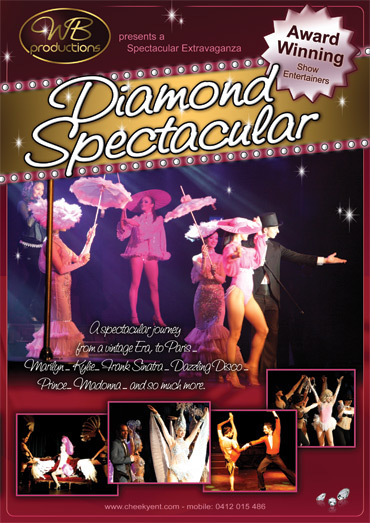 WB Productions presents….a Baz Luhrmann Spectacular! Strictly Luhrmann, Strictly Elegant is a divine and spectacular musical production. A divine tribute to Baz Luhrmanns’ spectacular movie productions – The Gatsby Experience, The Moulin Rouge, Strictly Ballroom and Romeo n Juliet. Specialty featured artists i.e. (a selection of) champagne glass act / pole artists / aerial artists / contortionist. Call us to discuss your specific needs on 0412 015 486 or click here to email us.